The fact that Mr. Rizzo is the only one of these men still around should speak volumes - that outfield is particularly ghastly. So goes a Major League roster in the midst of a rebuild. While Wood has since found his niche in the bullpen, Jackson's fall has been well documented and Rusin has struggled to even be a fifth starter in this league. An 8.10 ERA in 13.1 innings to go along with no saves (plus two blown) has ensured that 2014 will have been his last year in the Bigs (thus far). All of this dreadful information was drudged up courtesy of the Wayback Machine, an internet archive which will allow you to see what a seemingly infinite number of websites looked like throughout the years. Careful, it's an easy rabbit hole to fall into. Anyway, why am I making any Cubs fan reading this blog suffer through this stroll down memory lane? 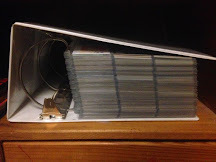 Well, on March 2, 2014, while sitting in the office of my previous employer one super-chilly morning, decided to take the leap and start my own baseball card blog. 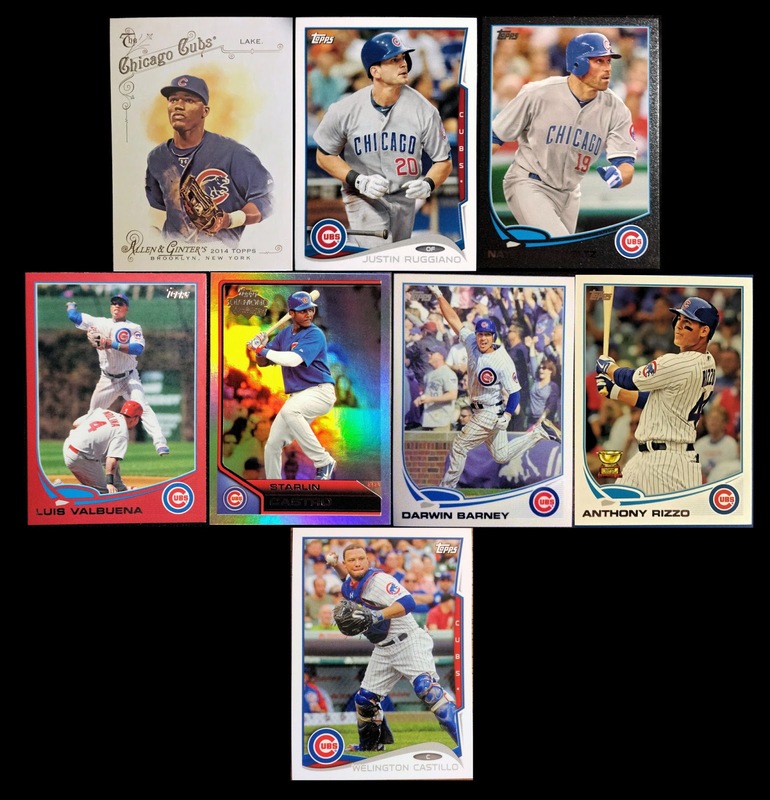 After lurking on popular blogs such as Wrigley Wax, Dime Boxes, Waiting 'til Next Year, etc., I finally took the plunge and began to bang out my first post on what would become Wrigley Roster Jenga. What this blog looked like around that time; thanks Wayback Machine! 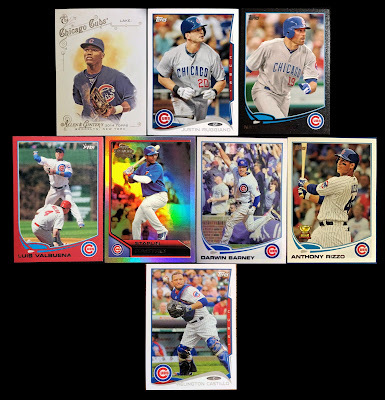 Of course, a lot has changed since that first post - the Cubs became worth watching, I grew as a writer and collector, I moved twice, got engaged, changed career paths, etc. etc. It's funny how much life can morph in just two, short years. Anyway, enough self-reflection - it's time for a contest. Since I've now been blogging for two years, comment below with the name of the first Cub to don the number 2 in an MLB contest. Everyone who answers correctly (one chance per person) will be entered into Random.org and the final list randomized twice to win two team bags filled with the franchise of their choosing. I'll do my best to include a nice variety of products and the winner will be announced on Friday. **EDIT** Since this entry method was very much half-baked, I've decided that anyone who comments on this post will be entered into the contest. Or, if you give the tilt a shoutout on your blog, you can earn an entry that way. If you do both, you'll get two entries, but no more than two. Meanwhile, here's hoping I've got at least two more years of blogging left in me. Of course, if I could blog through the era of a Lake/Ruggiano/Schierholtz outfield, I should to be able to maintain an even higher level of enthusiasm now. Don't have a blog, but will pimp this on twitter. Congrats on 2 years bro! Thanks! Since you don't have a blog, I'll consider the retweet one and the same. Congrats and Hapoy Two Year Blog-aversary! I was definitely going to say Billy Herman also, beat to the punch. Basically, anybody who just types the answer into the comment section gets entered - no first come, first serve. So, you're still in! I'm just trying to make it really easy to enter. Since the comments will save me a trip to baseball-reference...Billy Herman! Congrats on two years, my friend! It's always a pleasure to read your blog, and it definitely helps that you're a fellow Cubs fan. Congrats on two years! Really enjoy reading your blog. Keep up the great work! Congrats on the bloggoversary! I'll fall in line and also guess "Pee-Wee" Billy Herman. Congrats on two years! Vintagetwins.wordpress.com and JunkWaxTwins on twatter. :). Happy Two! It doesn't help that you're a Cubs fan at all. But happy two! Two solid years is a job well done. Keep it up. Congratulations on the two year anniversary! Congrats on the two years. You and I are about the same age! I know it's ST, but Barney tore it up yesterday for the Jays, 5 RBI game! Billy Herman? I don't know if you want me to enter another one of your contests, now that you know I'm not a team collector. Either way, congrats on hitting the two year mark. That seems like a terribly long time in blog years! I was gonna say Billy Herman. Billy Herman, cuz I cheat. Throughout high school, college and life in general. ;) Nah jk. but seriously, congrats on two years! Glad to have found ya! Junior Lake? That's a pond! Congrats on 2 years man, I knew Rizzo and Freeman had something in common. Happy anniversary! Sorry for the late acknowledgement, but I'm just now catching up on most of my blog reading... It's been a week.